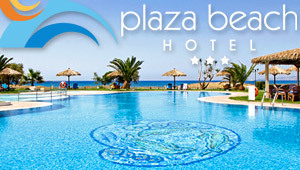 The Thalasea Sports Center is located on Parthena Beach, in the bay of Mikri Vigla about 17 km southwest of Naxos Town. The bay boasts some of the strongest winds in the Cycladic islands. Regular winds and sparkling waters make the Thalasea center in Parthena beach one of the best in Naxos for kite surfing and windsurfing. In operation since 1997, the center has an IKO (International Kite boarding Organization) certification and a team of experienced instructors, who speak English, German and French, provide training as well as advice on how to choose the equipment best suited to the individual. A wide range of high class equipments from JP and Neil Pryde Sails provide a great surfing experience to both beginners and experts. Other conveniences at the center include a kite and wind surf repair and cleaning service as well as board storage. The season is from June until September at the center and customers can choose their boards much ahead, at the time of reservation. But this does not prevent them from trying out other boards at the center. Studio accommodation is aplenty within a 200meter radius of the center, each offering a private terrace.